Consulting websites have to be highly specialized. You may be targeting homeowners or commercial property owners, investors or general consumers. You may specialize in certain products or services, a few resources or in a technical niche. Whatever it is that you specialize, the kind of consulting services you offer and your target audience will determine the type of website you must have. 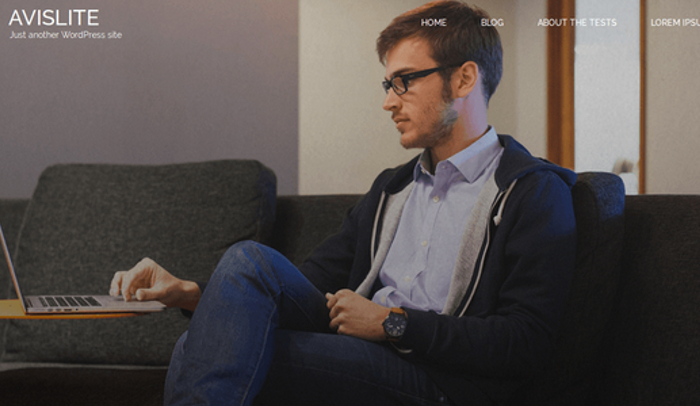 That will influence your choice of best free consulting WordPress themes. The advantage with consulting websites is that as long as you can have a professional design, simple but elegant layouts, state of the art features and compelling content, which is optimized for search engines, you are sorted. You really don’t have to worry much about out of the world graphics or any such interfaces because your consulting service would be the primary focus and not endless browsing or a plethora of plug-ins. Simple, cool and minimalist, SKT Design Agency is a responsive website design that is just about perfect for consulting services. It is also good for general businesses or corporate websites, legal websites or for law firms, online shops and medical or healthcare websites and an entire range of industries from cafes to technology, fitness to massage and beauty. There are many reasons why this is one of the best free consulting WordPress themes available right now. The well segmented categories, the simple white layout with a minimalist design, a dedicated blog and ability to be translated to multiple languages make it easy to work with. The theme is compatible with WooCommerce so consulting firms can charge for online payments on the website itself. If you don’t want six or eight sections and multiple subsections, if you are happy with just the classic four options on your menu with a few subsections and a highlighted feature, then Avis Lite will be apt for your needs. It is a simple and clean website theme or design. It is highly suitable for consulting firms run by attorneys or advocates, business development professionals and even freelancers. 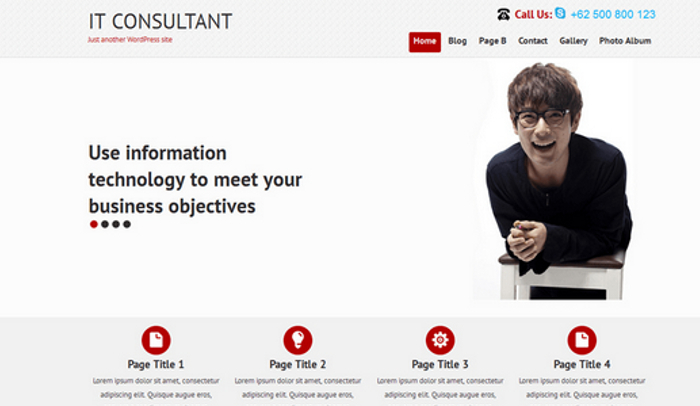 Any professional or a consulting firm with specialization in any niche will present a great website with this theme. You can work on a portfolio, a skills section, the theme has an advanced contact map template and there is support for multiple languages. 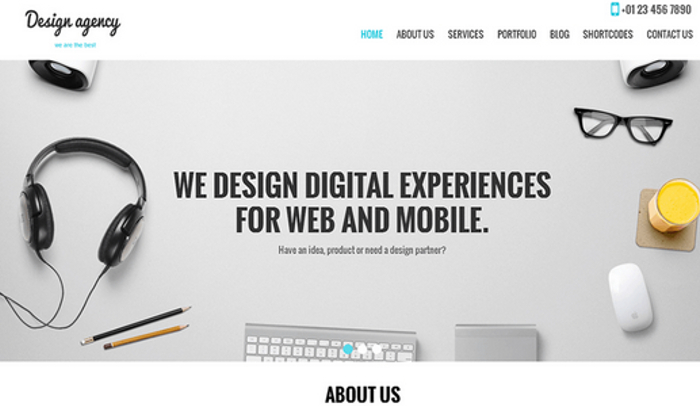 This is a responsive website with a minimalist design and a classic layout. The theme is ideal for freelancers or self employed professionals. It is also great for small to midsize companies offering consulting services in any industry. Let not the name mislead you.